For serious shoppers out there, sometimes you may need a little help. Maybe you can’t carry everything or just want a little company. That’s where ShopPal comes in. 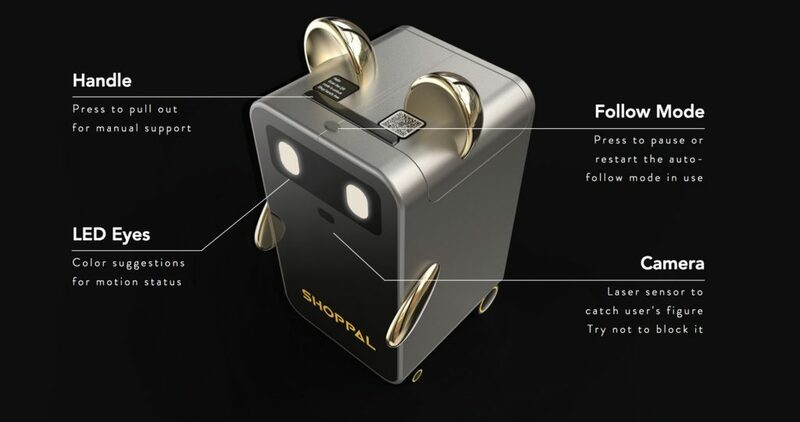 ShopPal is a small companion robot that follows you around while you are shopping. Along with keeping you company, it comes with safe storage, mobile charging and it’s own promotions. It will also interact if you need a new friend. There have been a few similar robots that help carry packages or make deliveries but according to the Shanghai-based company of the same name, ShopPal is the first to be tested successfully in a real mall environment. Thanks to visual and voice recognition, ShopPal responds to commands and automatically tracks you through the stores. It will even remember your shopping habits to help you efficiently get through the mall. ShopPal won’t just stay on the ground floor as it’s the first robot to be available for cross-floor use by escalators. ShopBot can follow a shopper for up to to 3 hours before it needs to be recharged. It stands 2 and a half feet tall and can carry about 20 pounds worth of stuff. If you are a fast walker, the robot can travel up to about 4.5 miles per hour. Of course, ShopPal is used with an app. To activate the robot, a user simply scans a QR code. 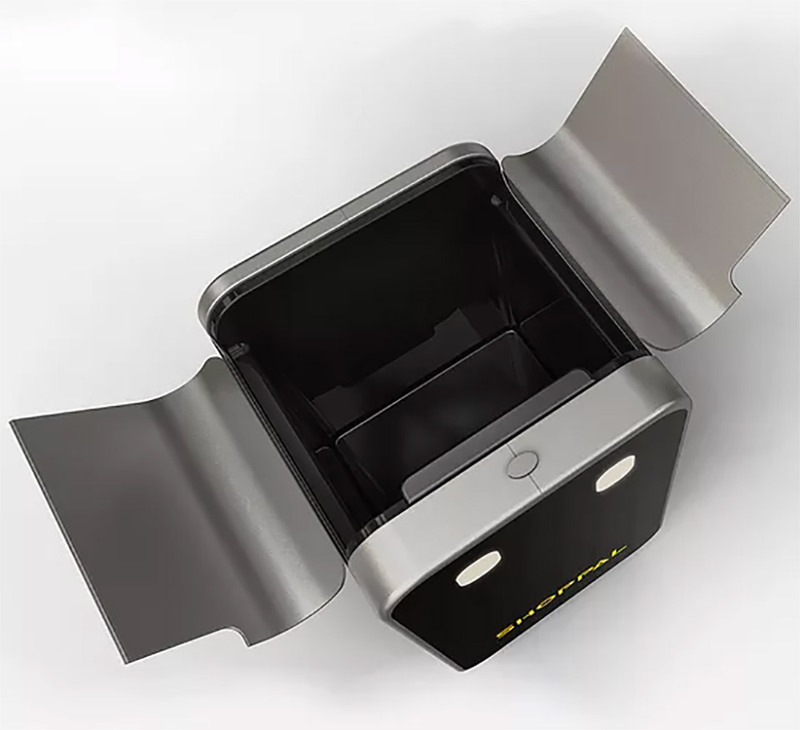 The app also allows you to open or close the robot’s storage. When you are done with the robot, all you have to do is to push a button in the app, grab your stuff and the robot bids farewell. In some malls, the robot may be limited to certain areas. When ShopPal gets close to a boundary line it will beep and not go any further. Along with booking and controlling the robot, the app allows you to review and share shopping experiences with other users. As far as pricing goes, the website states that ShopPal is free to members of certain properties. For others, they claim the robot costs 30 cents for every 15 minutes. So having a shopping robot may be overkill, but all jokes aside, something like this could be great for senior citizens or those who are disabled. Sometimes we take for granted just being able to go to a store and pick up a few things. For people who have trouble carrying items, something like ShopPal could be quite helpful and increase a person’s independence. Check out our articles on using a robot to perform surgery over 5G and self-driving robot bar.